Owning a sword in Viking society typically meant you were are warrior of great skill and prestige. We offer an excellent variety of Viking swords here based on the blades that would have been wielded by great Norse warriors. You will find both decorative Viking swords for display here as well as functional Viking swords for combat, and we offer many of our Viking swords with matching scabbards. Our selection of Viking swords also includes some Anglo-Saxon and Norman sword styles due to similar roots and some common design features. Many of our Viking swords here feature iconic lobe pommels. Some are decorated with runes and others are made of Damascus steel. If you are searching for a Viking sword, you have come to the right place. Our selection is immense, and each Viking weapon here is impressive in its own right. This Viking Sword is fashioned after an Eighth Century Design. 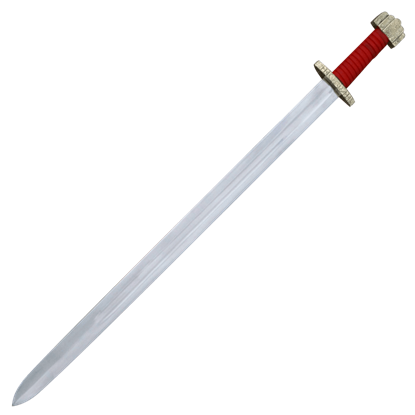 This beautiful sword has a highly polished 33-inch blade with fuller and a dark hardwood handle with a polished, solid steel pommel and cross guard. If you were to challenge a Viking to battle, you would likely wind up facing a sword just like this Black Viking Warrior Sword. Rugged and hardy, this weapon recreates the appearance of the Vikings classic weapon in stunning detail. The celebrated Cawood Sword, named after its discovery location near Cawood Castle in England, is regarded as one of the finest and best-preserved examples of an 11th century Viking sword in existence. The Early Norse and Celtic people of the Middle Ages created functional swords beautifully that were adorned with designs from their myths and legends. 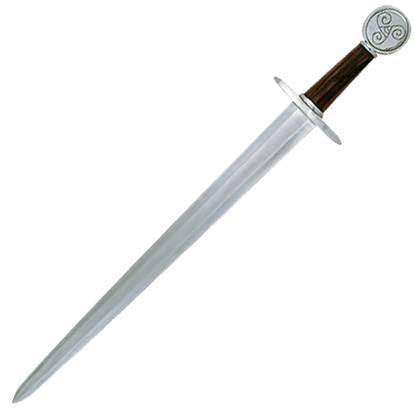 This beautiful Celtic Norse sword has a curled scroll hand engraved into its pommel. 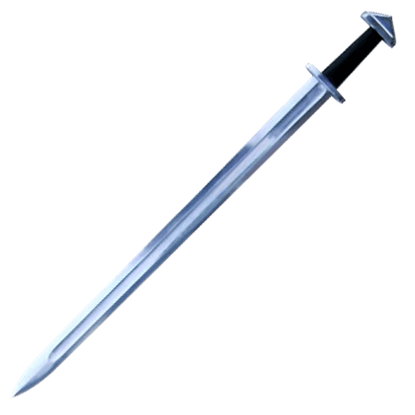 Modeled after the typical Viking sword, this blade is a weapon fit for a Viking leader or warlord. 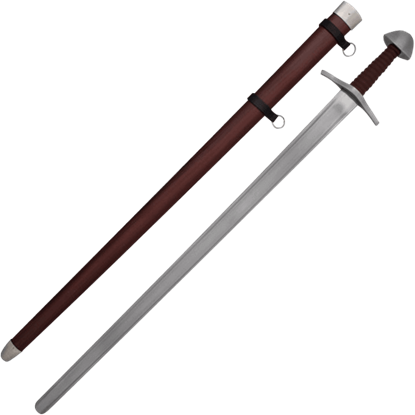 Historical in its design, the Chieftain's Viking Sword with Scabbard is a straight-forward blade that was designed for battle. Bjorn Ironside, the alleged son of legendary Viking Ragnar Lodbrok, was one of the most famous Vikings and the founder of the Munso Dynasty. The Condor Ironside Viking Sword allows you to commemorate this formidable warrior. Vikings were practical in combat, preferring to stick with what worked. Gradually, the narrow guards of their swords (no doubt inspired by earlier Roman designs) gave way to weapons more like this Cruciform Late Viking Sword.